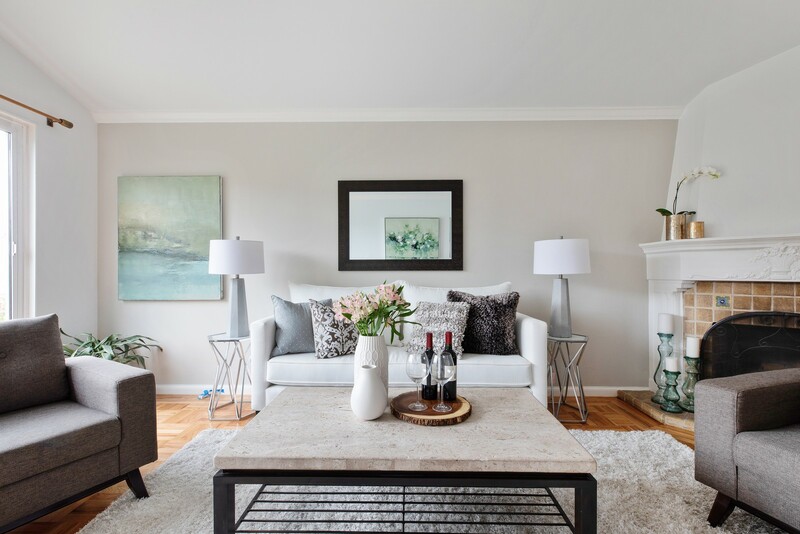 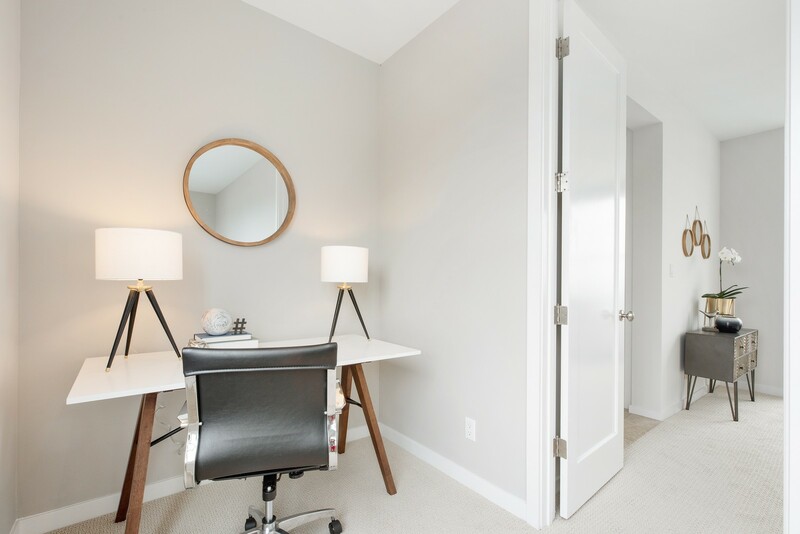 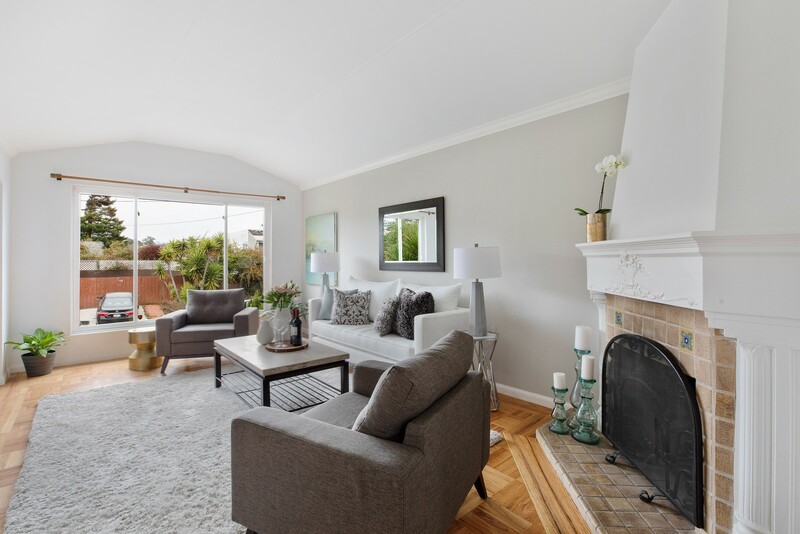 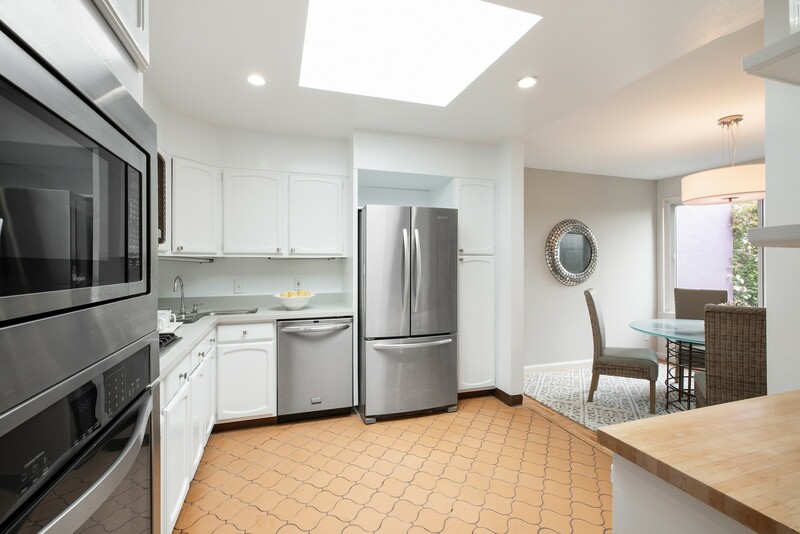 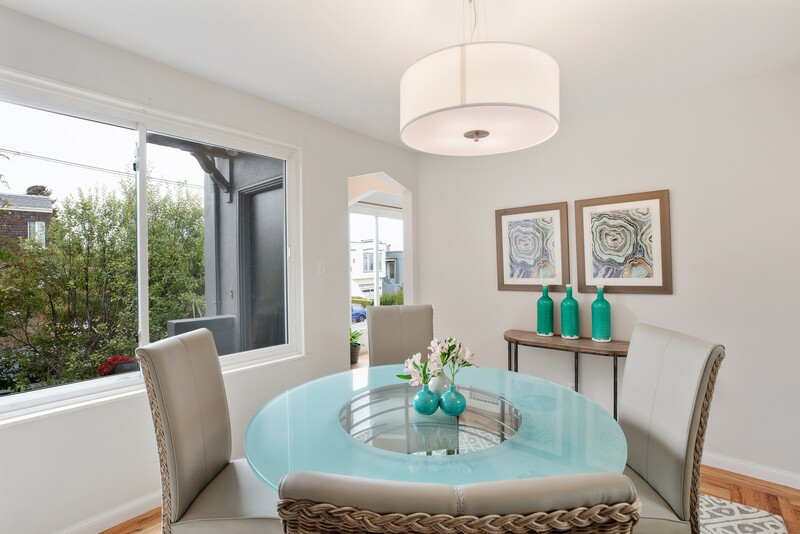 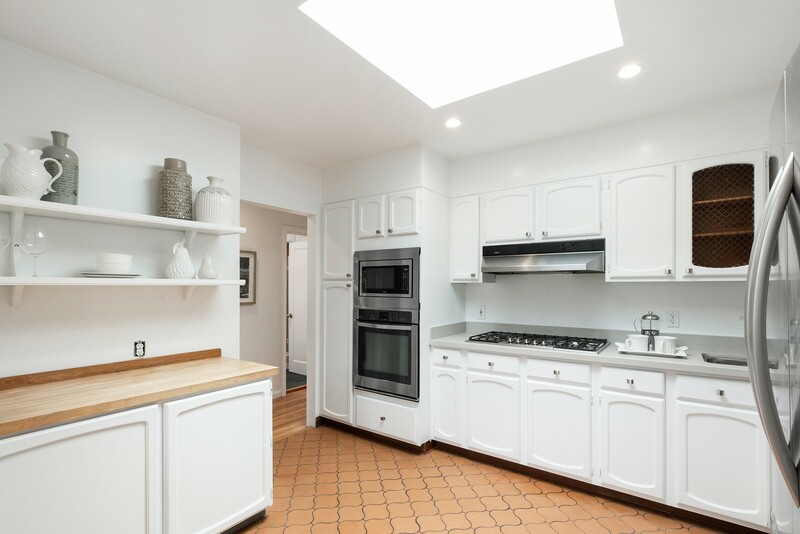 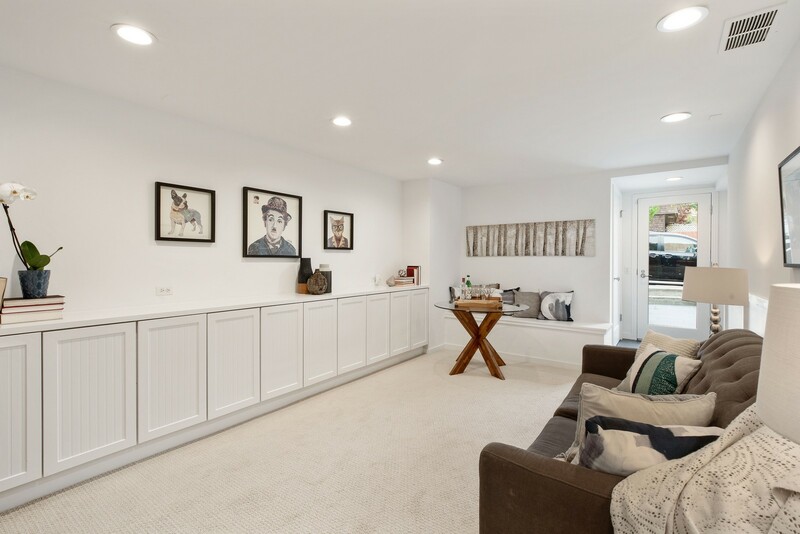 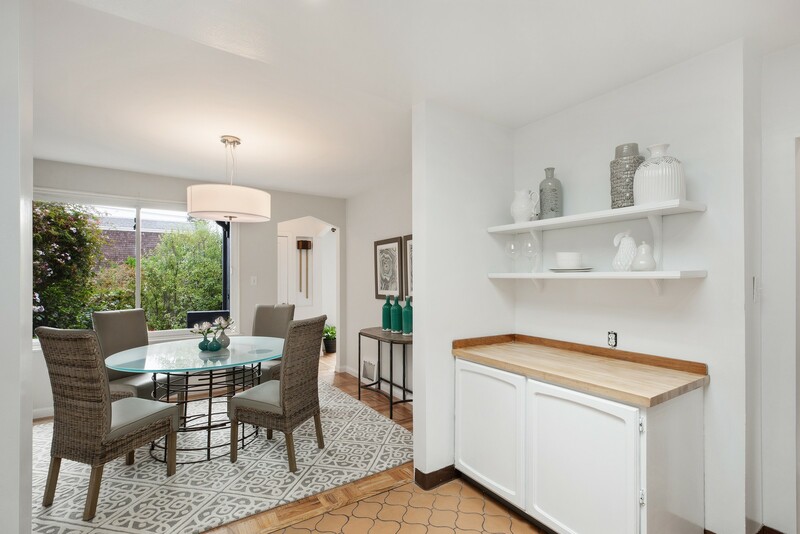 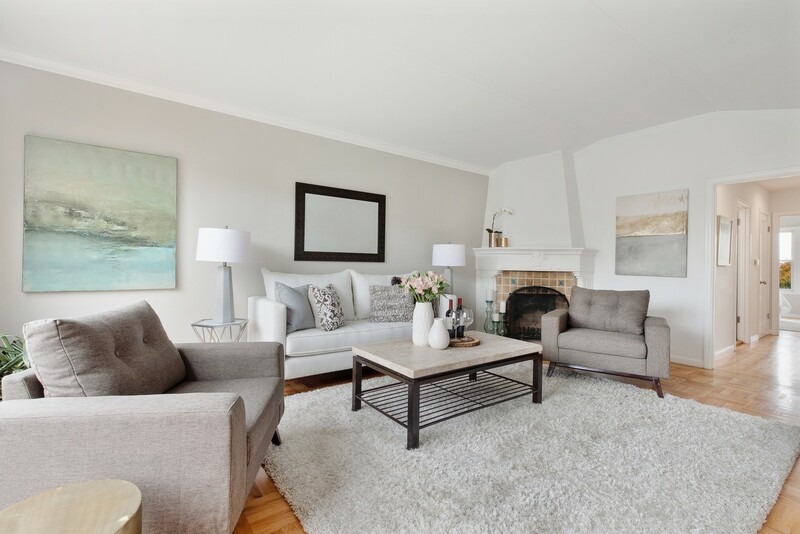 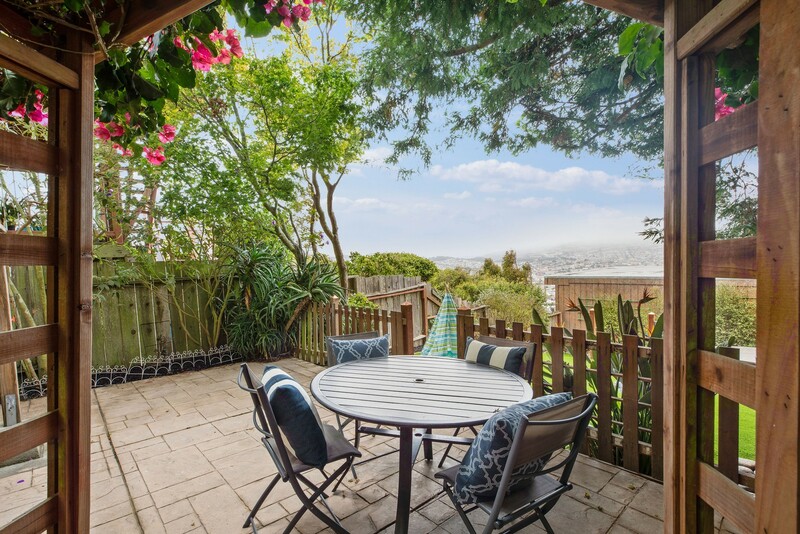 Don’t miss this light-filled 4 bedroom, 3 full bath home located in Glen Park, one of San Francisco’s most charming neighborhoods. 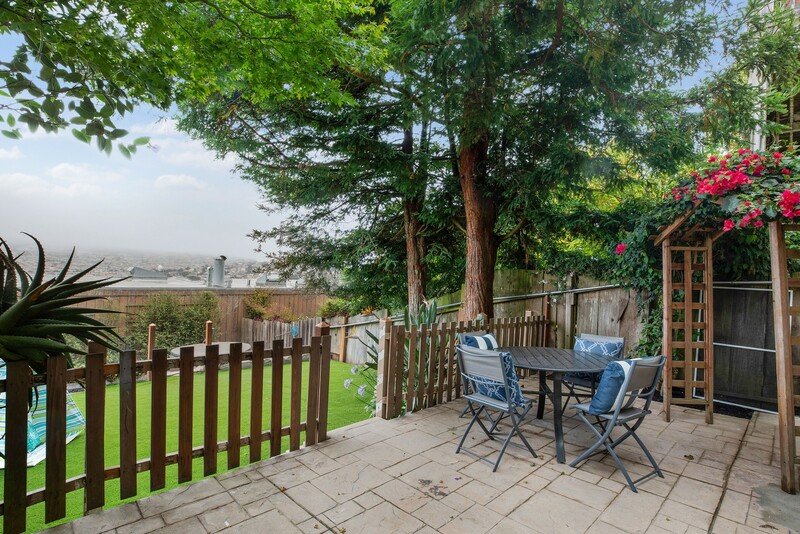 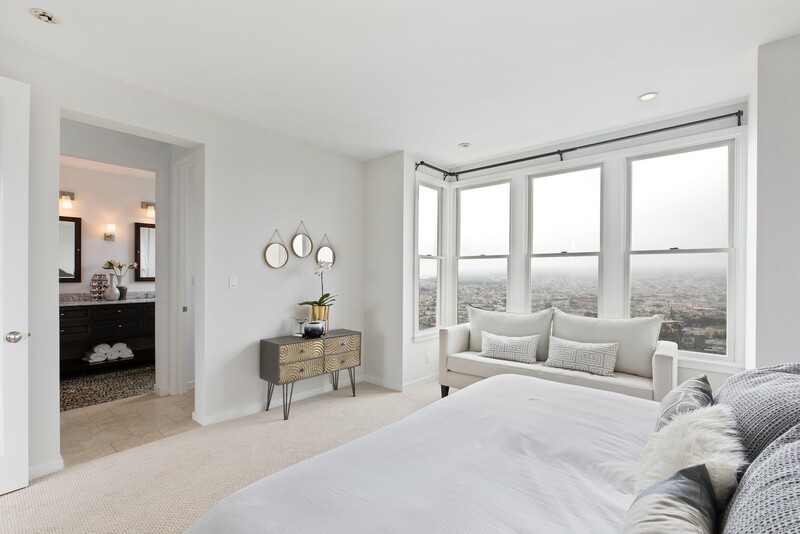 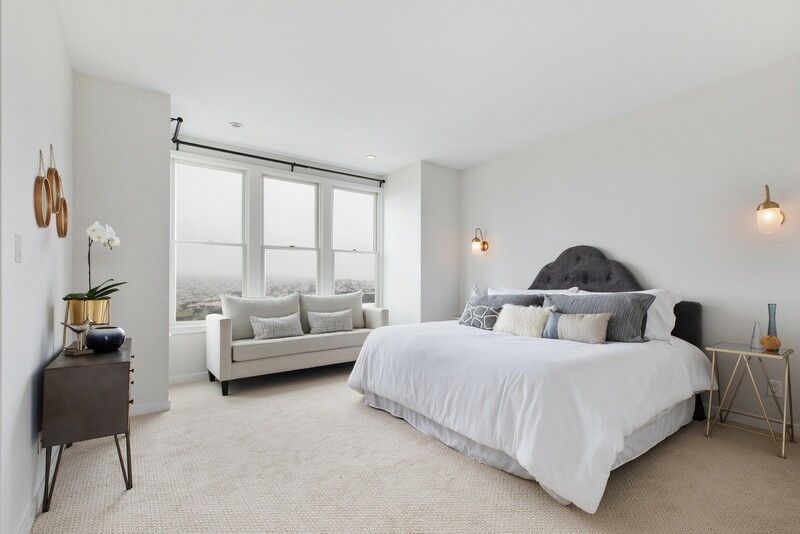 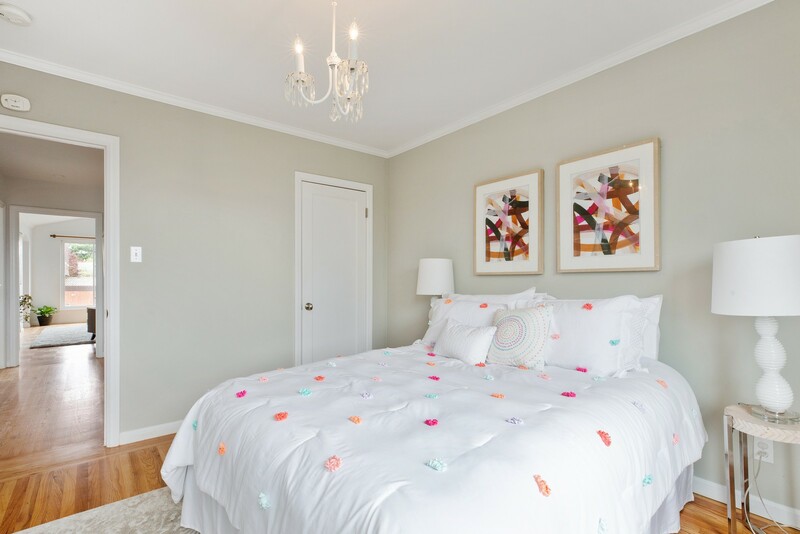 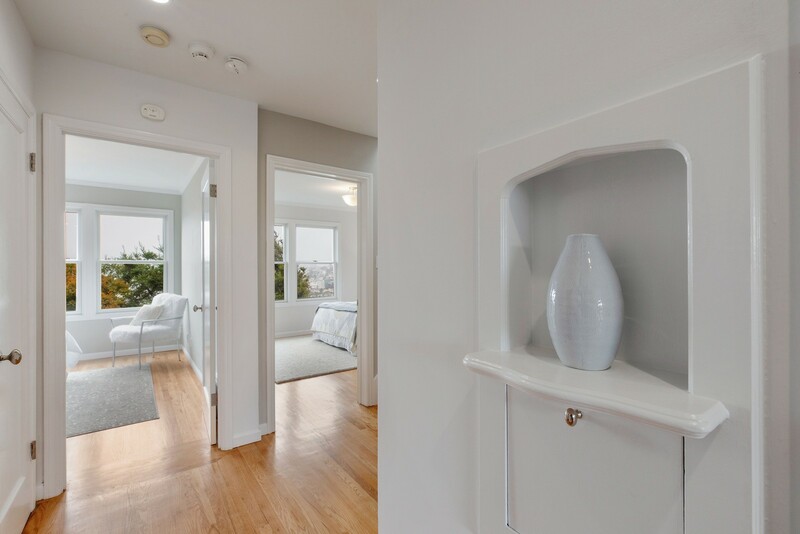 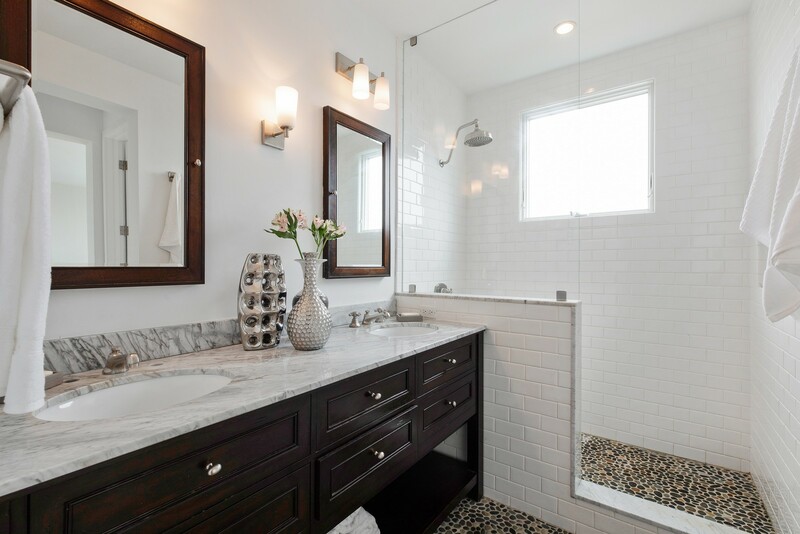 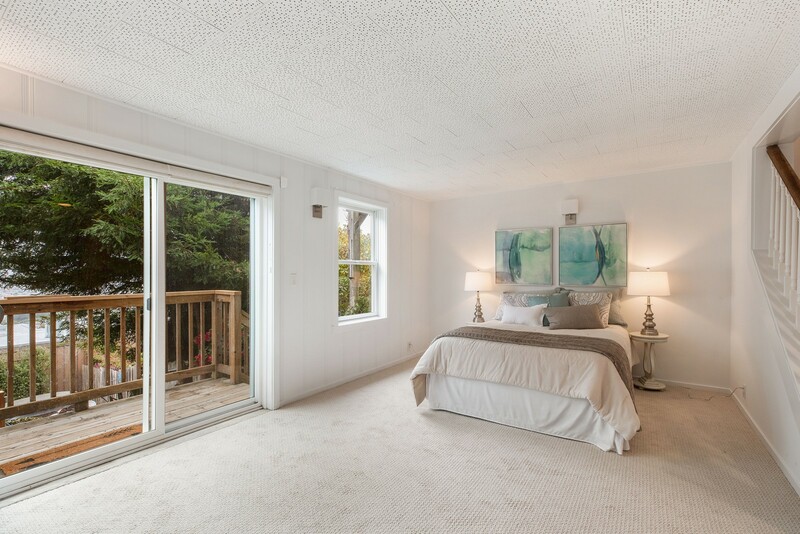 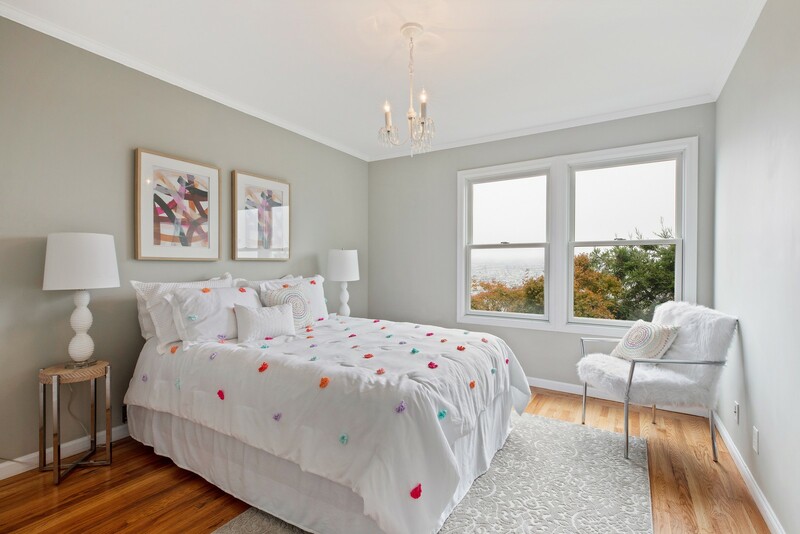 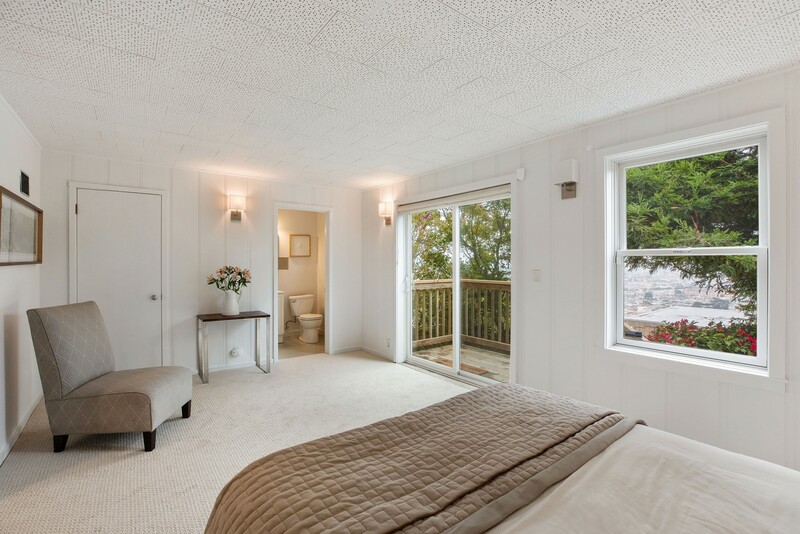 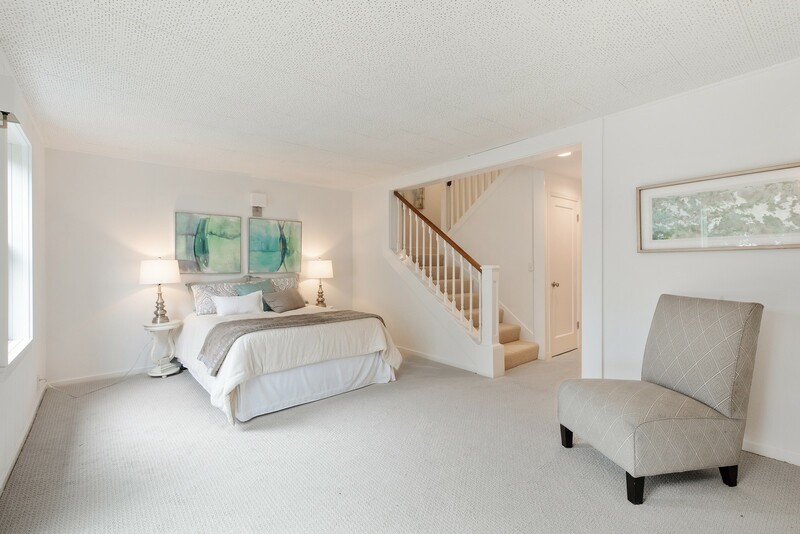 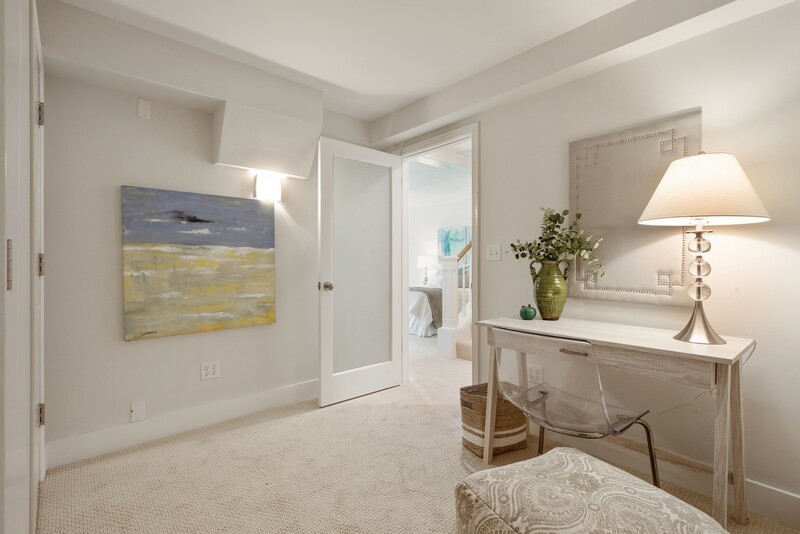 Major renovations include an amazing 3rd story Master Bedroom and luxurious bath with sweeping San Francisco views. 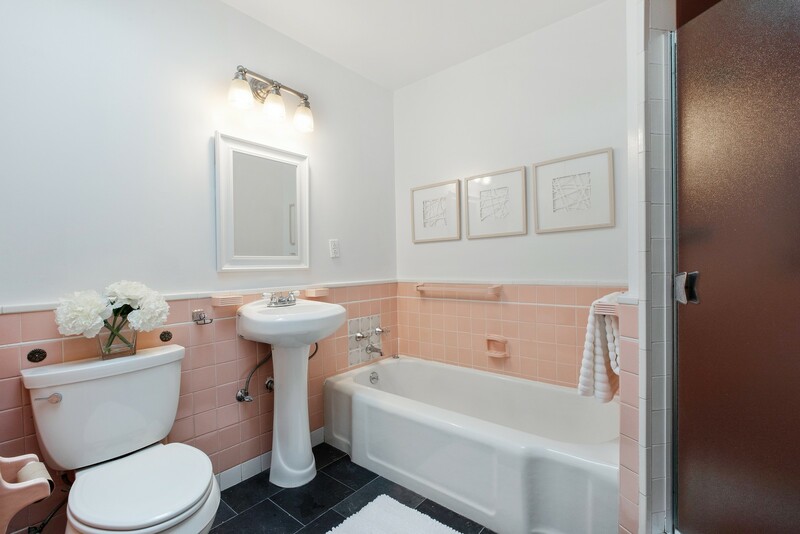 On the main level, beautifully refinished hardwood floors, formal living room with wood burning fireplace, 2 spacious south-facing bedrooms with dual pane windows, a slate floor bathroom with tile surround, full size tub and separate stall shower all with architecturally pure details throughout. 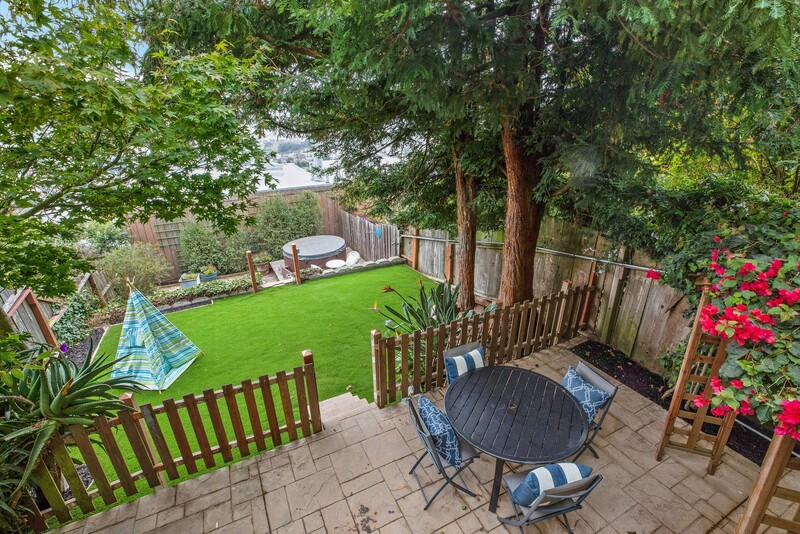 On the street level, huge family or media room with wet bar sink and lots of built-ins, home office off the 1 car garage and a lovely 2nd Master Bedroom on suite with slider access to the south-facing deck and patio shaded by a mature Redwood tree, a large lawn area and 3rd level patio with hot tub. 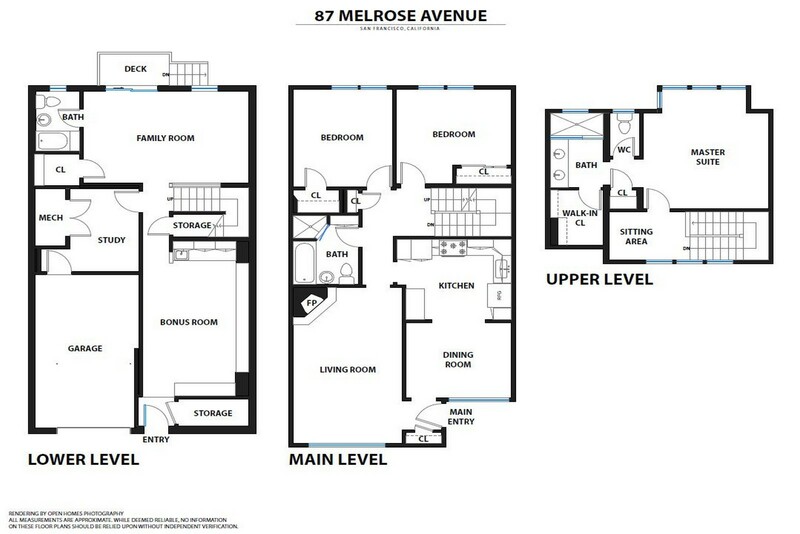 Floor plans at the last photo. 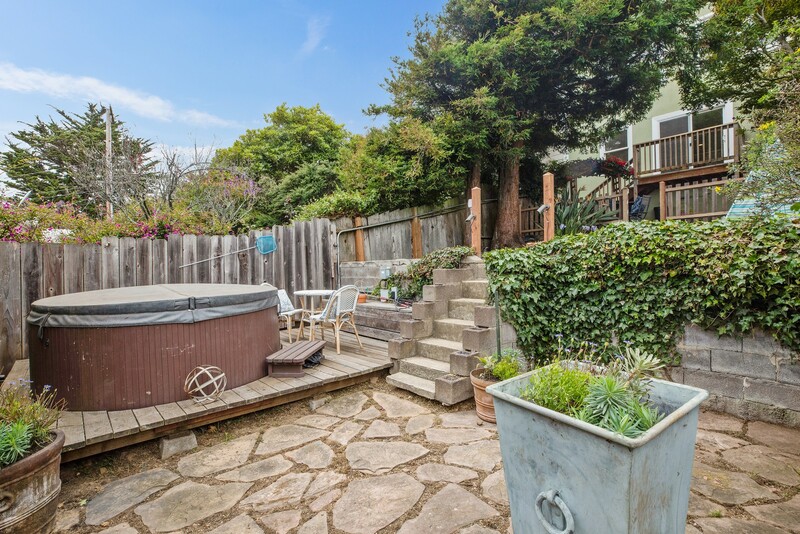 Walking distance to The Village shops, Canyon Market, Gialina’s for 5-star pizza, and BART. 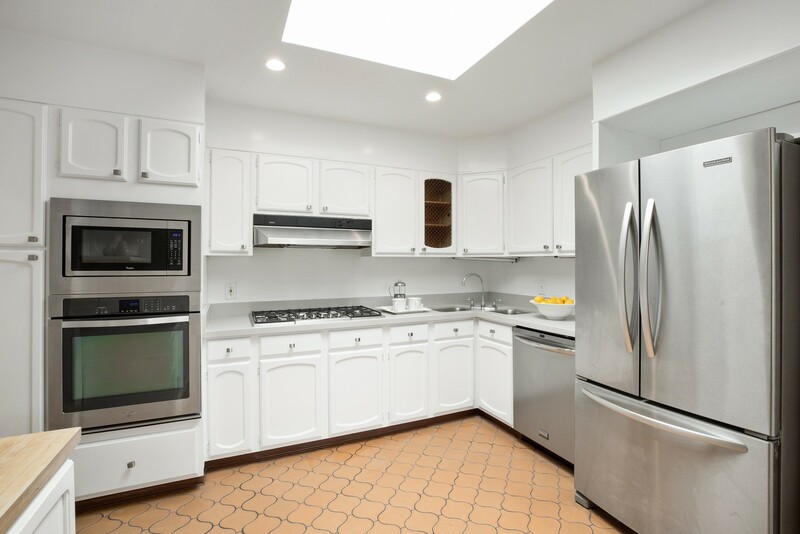 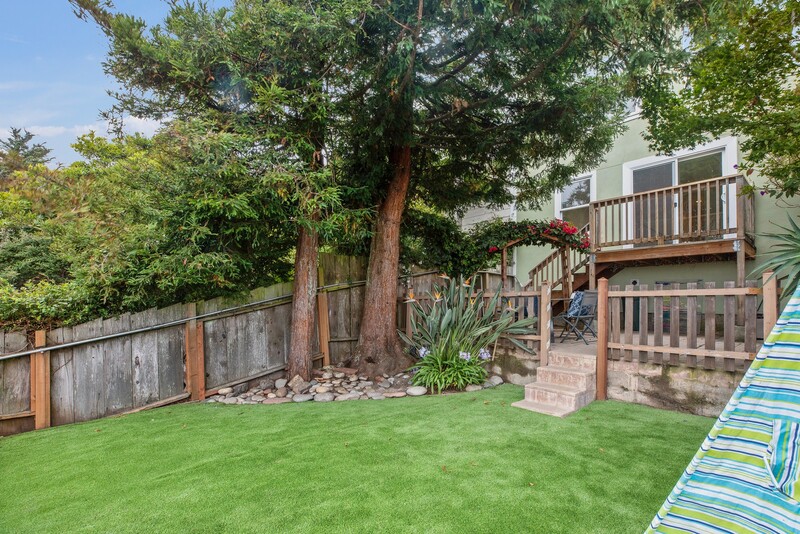 Just minutes to Glen Park BART, tech shuttles, shops and eateries. 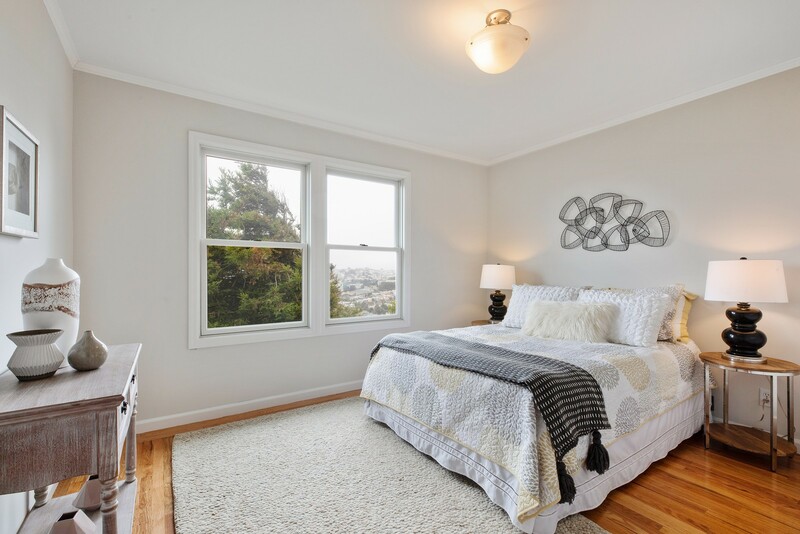 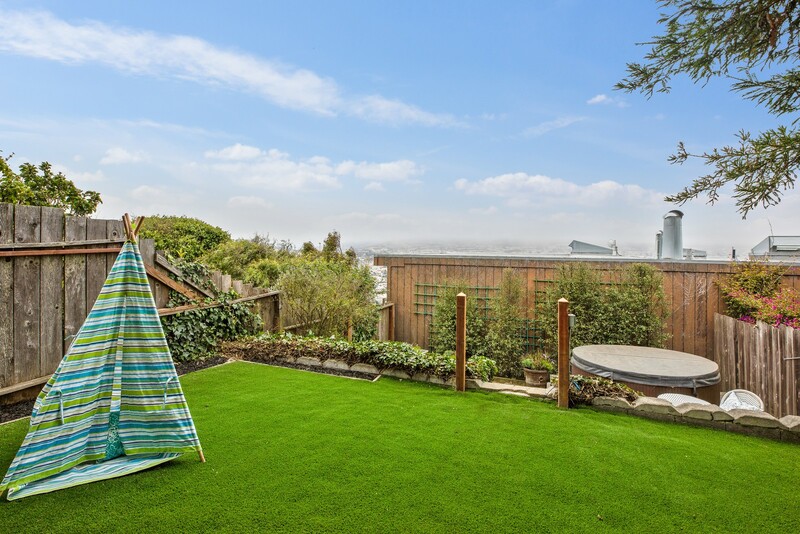 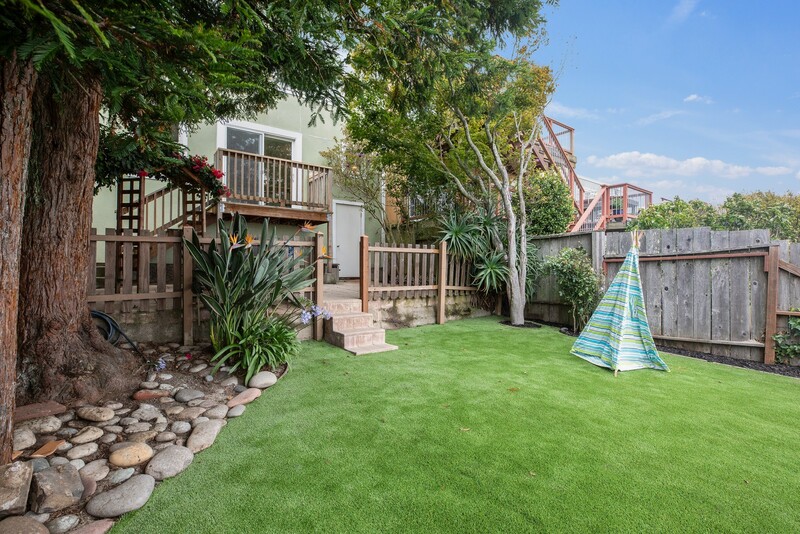 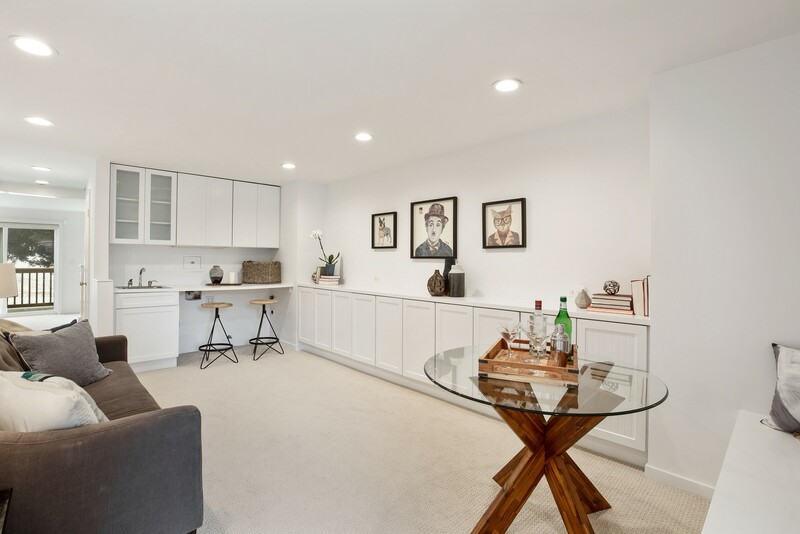 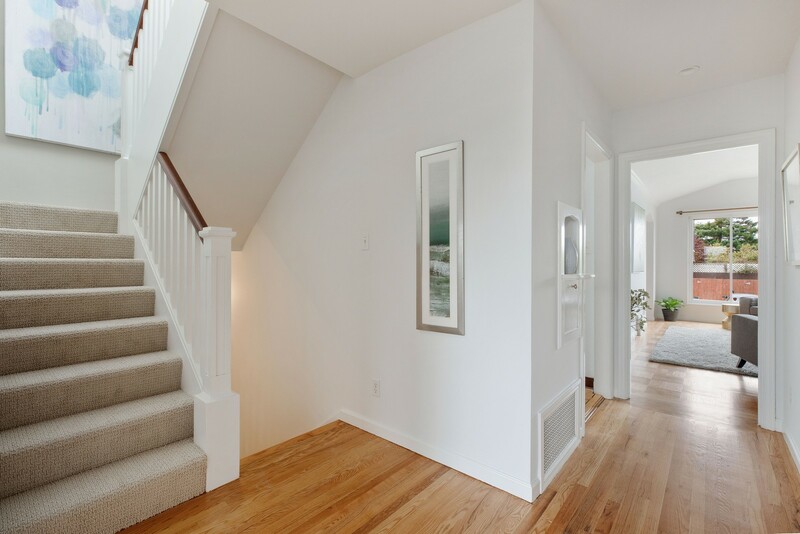 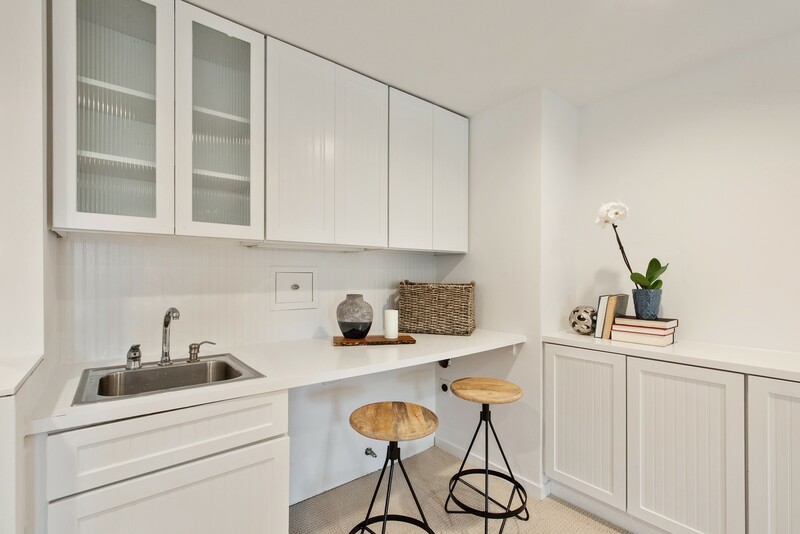 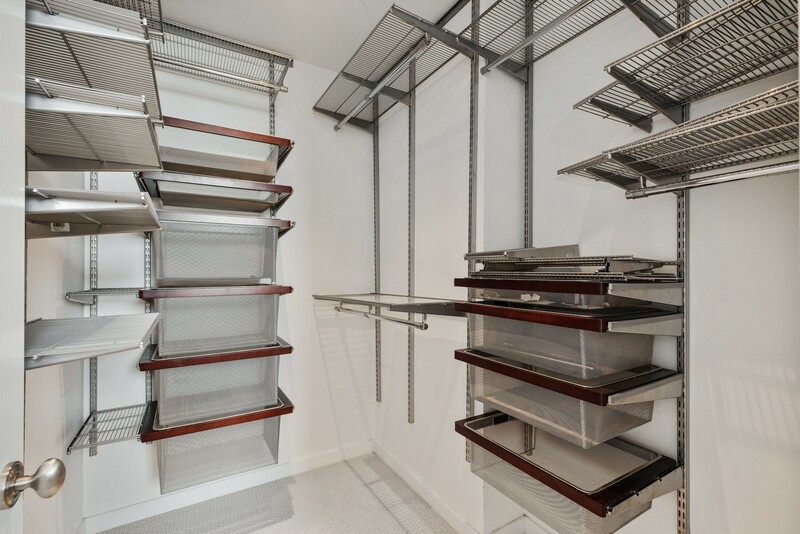 Close to Glen Park Canyon, Noe Valley, Bernal Heights, 101 and 280 freeway access.